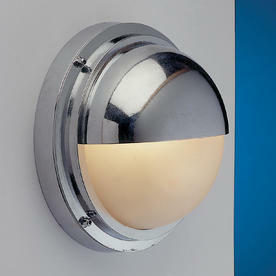 Sleek round bulkhead outdoor wall lights. 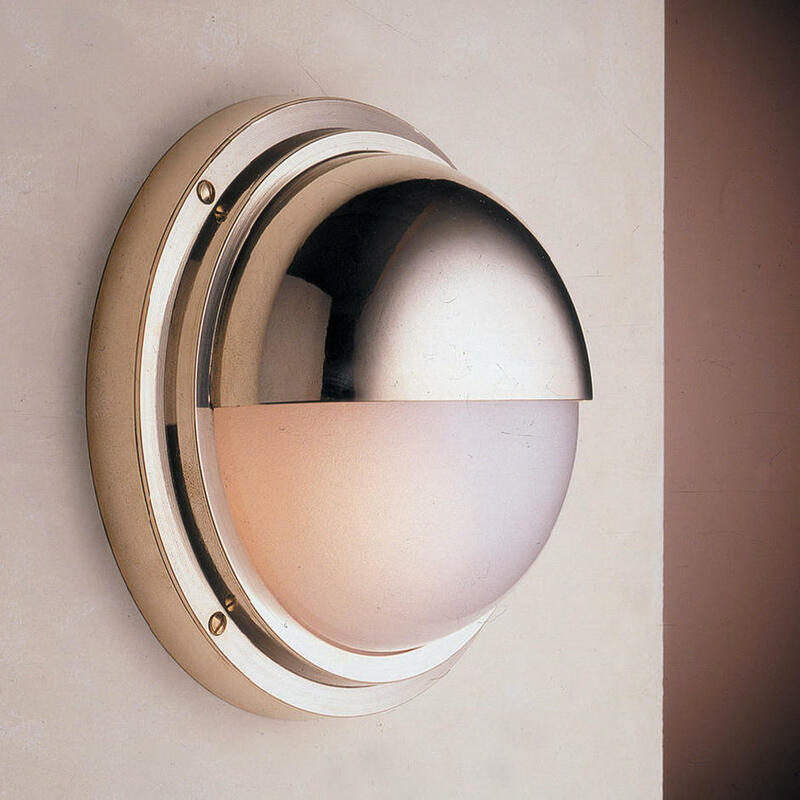 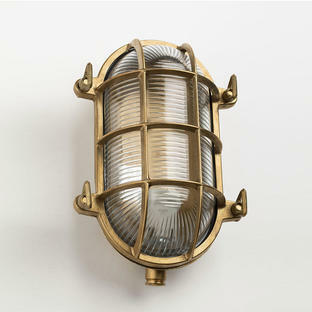 With contemporary styling, these gorgeous highly polished bulkhead lights are made from solid brass. They come in a choice of 2 finishes, either a polished brass or polished chromed brass finish. The lights can be used as either a wall or ceiling light. 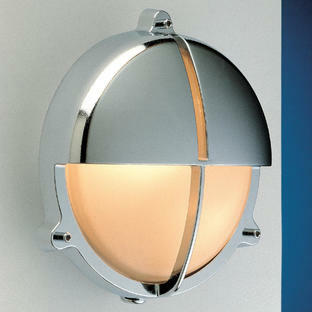 Installation If you are screwing the lamp to the wall you will need a drill and a metal bit just to create 2 holes. 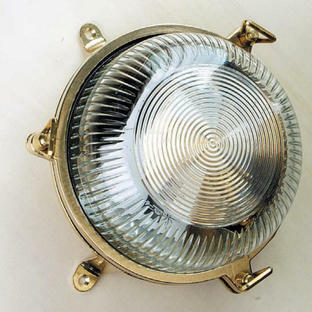 Indented marks indicate where the metal is thinnest.